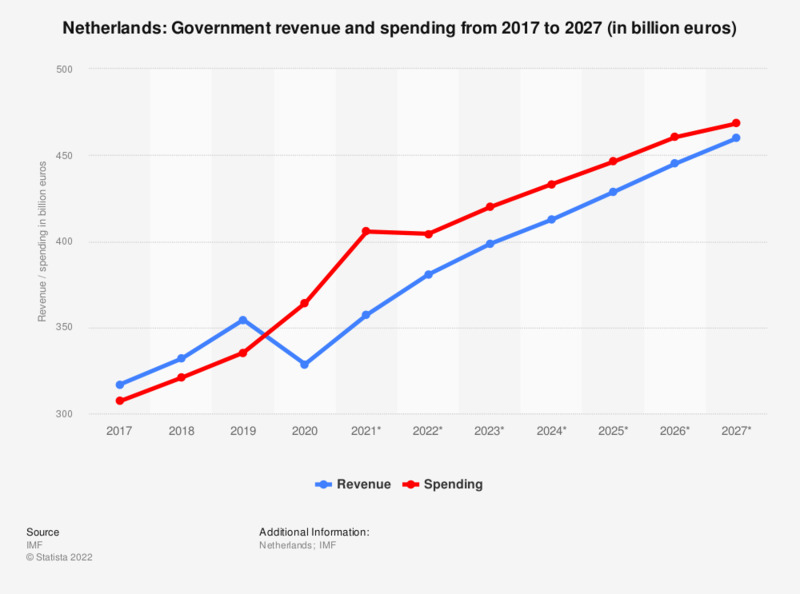 This statistic shows the government revenue and spending in the Netherlands from 2012 to 2017, with projections up until 2022. In 2017, government revenue in the Netherlands amounted to around 320.76 billion euros, while government spending came to around 312.71 billion euros. Everything On "The Netherlands" in One Document: Edited and Divided into Handy Chapters. Including Detailed References.